MFM hosts a CFO Summit annually, a gathering of top media industry leaders exchanging ideas and discussing the issues facing their industry. Why attend MFM CFO Summit? Rest assured, all of the burning issues facing CFOs and media executives who deal directly with financial management processes will be dealt with in no holds barred discussions at this innovative summit. We look for real solutions to the real problems you face every day. We know that the theories underpinning current developments in financial management processes don't necessarily pan out in the real world, particularly when examined in a global context. Which is why we invite you to attend so you can discuss your thoughts and feelings openly, and connect with like-minded people. The MFM CFO Summit is a prime opportunity for you to air your personal and business challenges with your peers. And...attendees can obtain an up to 10 CPE Credits over the 2-day summit. Registration limited to most senior financial executives in media companies. MFM reserves the right to refuse registration requests that do not meet registration criteria. Speaker: Andrew Miller, President, ACM Consulting Inc.
Media Financial Management Association offers limited sponsorship opportunities for the CFO Summit with a maximum of two sponsor companies from any one service or product category. Representation is restricted to one agent per sponsorship. Sponsor companies have no guarantee of a speaking role outside that outlined in the sponsor package. PROGRAM PREREQUISITES/ADVANCE PREPARATION: Course prerequisites for sessions are indicated on pages 9-10. In general, Advanced level sessions require a comprehensive understanding of media business and experience with the topic being discussed. No advance preparation is required for any sessions. CPE: 1 CPE credit available for a minimum of 50 minutes participation. In accordance with the standards of the National Registry of CPE Sponsors, CPE credits are granted based on a 50-minute hour. Attendance at all CFO Summit sessions qualifies each CPA, or other person entitled to earn Continuing Professional Education (CPE) hours, for up to 10 CPE credits. Those eligible for CPE credits will be asked to sign in for each day’s sessions in order to receive a CPE certificate. They will also receive a program evaluation form which they are encouraged to complete. Attendance forms are kept on file for six (6) years. Media Financial Management Association is registered with the National Association of State Boards of Accountancy (NASBA) as a sponsor of continuing professional education on the National Registry of CPE Sponsors. State Boards of Accountancy have the final authority on the acceptance of individual course for CPE credit. Complaints regarding registered sponsors may be submitted to the National Registry of CPE Sponsors through its website: www.nasbaregistry.org. Prerequisite: Thorough understanding of U.S. fiscal and tax policies. Learning Objectives: Ability to explain why the Federal Reserve Bank has backed away from its accommodative financial policy; Discuss the outlook for the overall macro economy with specific focus on key economic sectors and indicators for the U.S. economy in the next year plus. Prerequisite: Comprehensive understanding of metrics used to evaluate media industry M&A activities. Learning Objectives: Articulate minimum of three forces with the potential to affect 2019 media M&A activity. Prerequisite: In-depth understanding of roles and responsibilities in today’s media finance department. Learning Objectives: Discuss why labor arbitrage, functional consolidation, and lean process models are no longer enough to deliver finance processes at scale; Explain minimum two ways automation can be applied to finance function to improve ROI. Prerequisite: Senior executive with leadership and business management responsibilities. 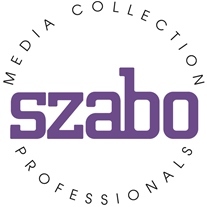 Learning Objectives: Identify minimum two current threats to media companies and their employees; Discuss key details for crisis management planning preparedness. Prerequisite: Senior executive with an understanding of insurance types and policy management. Learning Objectives: Discuss minimum three actions to improve ability to approach and manage change; Identify steps to creating an environment that both anticipates and embraces change; Provide examples of ways leading change led to innovation and profitability within an organization. Prerequisite: Senior management position with responsibility for managing one or more employees. Learning Objectives: Cite a minimum of two issues and/or potential challenges specific to employment contracts; Summarize recommended best practices for talent use of social media. Prerequisite: Comprehensive familiarity with financial issues for media companies, including but not limited to:compensation plans; ratings metrics; predictive and forecasting analytics; internal operating structures; business intelligence, and dashboard reporting. Learning Objectives: Discuss how changes in the media industry have changed responsibilities of industry CFOs; Identify minimum two ways to serve your company more effectively. Prerequisite: Broad understanding of state-specific rules for advertising content. Learning Objectives: Ability to explain why sports betting rules changed in May 2019; Discuss minimum two considerations prerequisite to accepting sports betting advertising; Summarize recent DOJ opinion on using wires for gambling information. What’s Next with Big Data? Prerequisite: Comprehensive understanding of current business models for media advertising revenues. Learning Objectives: Ability to explain term “digital transformation” and its relevance to media companies; Discuss minimum two success stories from companies using consumer data to improve their product offerings.